New Truganina location for MaxiParts. 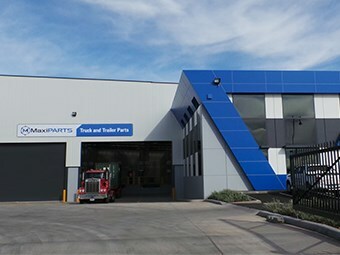 MaxiTrans subsidiary MaxiParts has moved its Victorian headquarters and wholesale warehouse to Truganina to improve its stock and shipping capabilities. The 5km relocation is on the back of ongoing growth for the parts company, with the previous warehouse in Derrimut no longer suitable to supply the demands of the 22 retail and warehouse locations around Australia, according to MaxiParts general manager Peter Loimaranta. "The relocation of our VIC wholesale warehouse and head office is very important to our long term strategy," Loimaranta says. "The larger, 12,500 sq m site will allow us to increase our ability to stock and ship products to our 21 other sites throughout Australia." Over the 10 years the company has been based in Derrimut, it has expanded to eight locations in Queensland, six in Victoria, five in New South Wales and one outlet each in South Australia, Northern Territory and Western Australia. "Our journey over the past few years has been phenomenal," MaxiParts national sales manager Justin O’Brien says. "Beginning with the acquisition of Queensland parts outlets Queensland Diesel Spares and Gladstone Air Cleaner Services in March 2012, followed by new sites in Mackay and Darwin during 2013, then increasing our NSW coverage to five branches in 2014, we now have grown to 19 retail and three wholesale sites across Australia. "As a result of this expansion we had outgrown our old Victorian wholesale and head office site. "The new state of the art facility provides a significantly larger office and warehouse space to allow the business to better stock its expanded range of products." The new, larger warehouse and headquarters is located at 22 Efficient Drive, Truganina.